Many keen beer brewers like to know the pH of their brews so they can ensure the kind beer they want to make, is the one they are making! A good pH meter will go along way to ensuring the water and wort is what the brewer needs. A pH meter that is well used will eventually need its probe or electrode replaced. Why do pH probes wear out? There seems to a little bit of misunderstanding on a couple of brewing forums about the use and usefulness of pH meters. You can often find commentary and reviews that they are 'inaccurate or don’t work at all' "I can't get this thing to work properly, I shouldn't have cheaped out!" I suspect that the vast majority of ‘incorrect’ readings and measurements are quite possibly due to poor management and maintenance of the electrode and this is mostly directly due to incorrect storage of the probe. It's a very wise practice to regularly clean your pH electrode. This is because a coating will otherwise develop on the glass bulb. This layer is known as the hydrated layer and it will quite likely cause inaccurate measurements and drifting or erratic readings. It does this by generating a different voltage in a pH buffer than a pH electrode without a hydrated layer. You can imagine how frustrating that will be for brewers trying to get accurate results! The standard manner in which to clean the electrode s by simply placing it in a cleaning solution for 15 minutes. It's the same concept as contact lens soaker! The cleaning solution dissolves the build up. After the cleaning solution has done its business, the probe must be rinsed with very clean or purified water and then placed in probe storage solution for at least 2-3 hours before using. 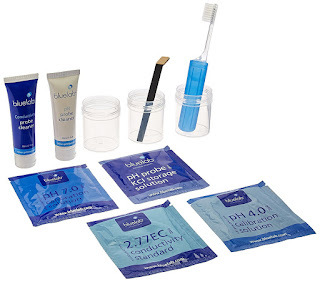 Our recommended manufacturer Bluelab, who make the fantastic Combo Meter have a pretty handy probe cleaning kit. Your probe is the consumable and probably the most expensive component of your pH meter. There are two key things that you can do to help ensure that you get a long and useful life out of the probe. Number one - keep your electrode in a fresh storage solution. We mention this elsewhere in this article because it so important! We wonder how many dudes are buying replacements because they dried their meters out! If you're an 'every so often' brewer and you don’t use your meter for an extended period of time, bear in mind that you will need to change the storage solution around every 6 weeks or so. A word or seventeen of warning. You should never ever ever consider storing your electrode in water! How it all works is that the reference cell has a high salt solution. By placing the probe in purified water, it will cause the salt to diffuse out and the water to go in. You do not want this to happen! Storage solution is designed to maintain the reference salt concentration but they also have handy chemicals present to keep bacteria and fungus from growing in the solution. So, if you do use for some unfathomable reason decide to use water, electrolyte solution will leach out of the meter and shorten its lifespan. At a real pinch, when storage solution is not available, then you may be able to get away with using pH 4 buffer - I'd suggest you only do this for a short term while you are getting some genuine storage solution for the unit. Remember, these parts are expensive so it's on you to take care of your brewing equipment. Secondly, for goodness sake - be damn careful with your probe! These things are bloody fragile. Take good care not to allow it to physically bang into the wall or rim of your testing vials, as this could damage the membrane. And you know, don't drop the damn thing! A buffer solution is one which resists changes in pH when small amounts of acid or alkali are mixed with the buffer. Acidic buffer solutions are commonly made from a weak acid and one of its salts* - often a sodium salt. One should always use fresh calibration solution when calibrating one's pH electrode. All pH measurements are based on the pH calibration solution as a reference point so the solution needs to be pure and not contaminated. The pH calibration buffer is a water-based solution that will change over time. This is especially true for the pH 10.01 buffer that actually decreases in pH as atmospheric carbon dioxide enters the solution. Natural product evaporation will change the pH level of the solution too. Opened bottles of buffer solution should be dispensed with after they have been opened for 6 months. Once you have calibrated your beer wort, dispose of the reference calibration solution as it can contaminate the remaining fluid if you add it back! How do pH probes work? Why does my new pH probe have a kind of salt like residue on it? A deliberate salt residue is often placed around the probe as a protective shipping solution so what you may be seeing is normal. Before calibration, rinse the salt off and let the probe soak for an hour in 4.01 calibration solution, storage solution or bottled water and then follow the calibration procedure instructions of your meter. Do you know who invented the pH meter? The concept of pH was first mooted by S. P. L. Sørensen in 1909. Following this discovery, electrodes were developed and used. The first commercial application of a pH meter was by Arnold Orville Beckman who in 1934 was granted the first patent for a meter. His company sold 444 units 2 years later and then when on to sell millions of the units, making his name and fortune in the process. 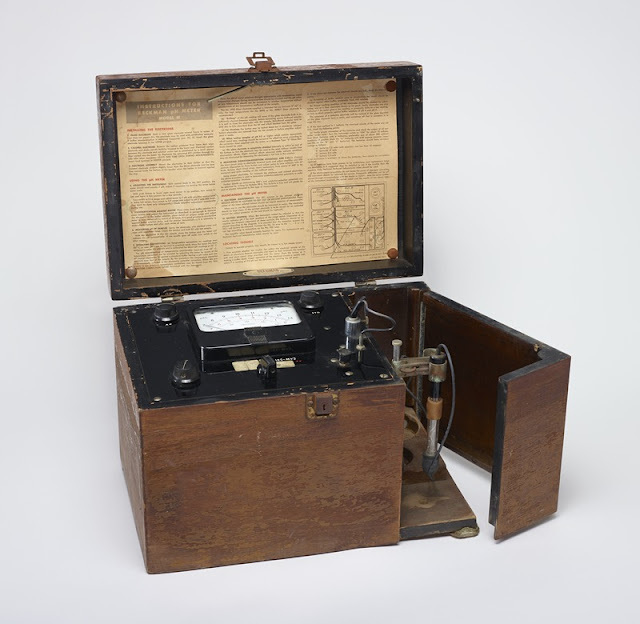 Here's what an original Beckman pH meter unit looked like. Can you spy any replaceable probes? Image credit found on Wikipedia and attributed under a Creative Commons licence by the Science History Institute. How often should I calibrate the meter? To obtain the most accurate results, you should calibrate before each use or set of uses. However, most units will hold calibration very well. 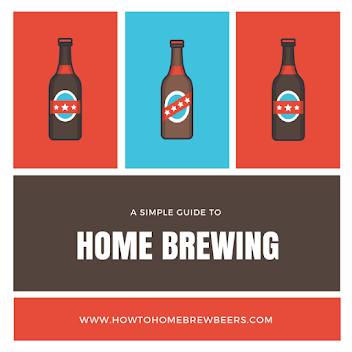 If you get a reading that is above or below what you would have expected, then check the calibration at that point and retest your beer solution!